All my New Zealand scenery is designed and built to fit VLC (Vector Land Class) ONLY ! If used in OrbX NZSI or NZNI, you may find elevation and other issues. 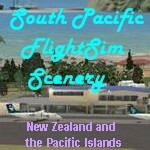 There is now almost a full compliment of all the old FS9 sceneries i ever did at FlightSim.com. Many thanks to Ronald Falzon of Malta, for uploading them all, after i had lost everything in a computer failure. on Flightsim.com , Avsim.com , Simviation.com . Last edited by Snowman on Tue Jan 20, 2015 2:06 pm, edited 1 time in total. Any updates for NZNE please. Always refreshing to read a cutting-edge, up-to-the-minute post on here!